I wouldn't have wanted to be trained any other way. Excellent class! Robert was very personable and returned phone calls in a timely manner. He was straight forward and patient with us, the students. He used constructive criticism and did not talk down to the students. All around he was a down to earth person. The atmosphere was great. A wonderful experience! I just want to say thanks to Robert. This is a great experience. I mean, Robert is an excellent professor and a very nice person. 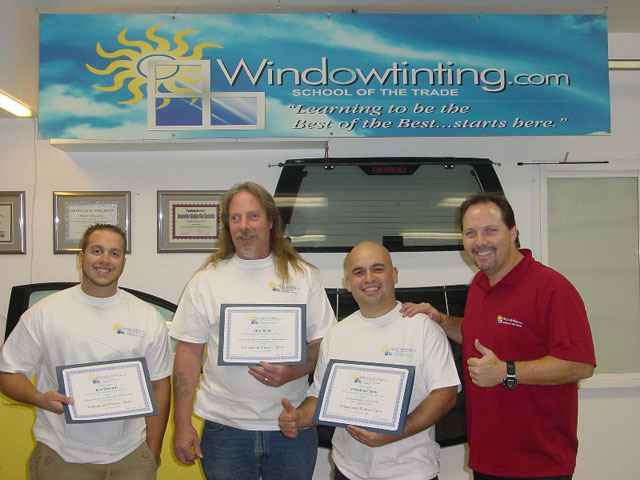 I say to everybody who wants to be a professional tinter to come to the best window tinting school: Windowtinting.com, School of the Trade, in San Diego, California.